Carole joined ALM in 2016 as Senior Research Manager. She handles end-to-end project management and execution of complex research studies related to the business of law. 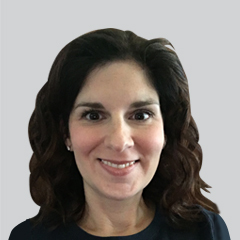 Prior to joining ALM, Carole worked at Millward Brown for 17 years, managing global and domestic full-scale project execution on custom, tracking and copy testing research. Carole has a B.S. in Business Administration from Bryant University, with a concentration in Marketing and Management.